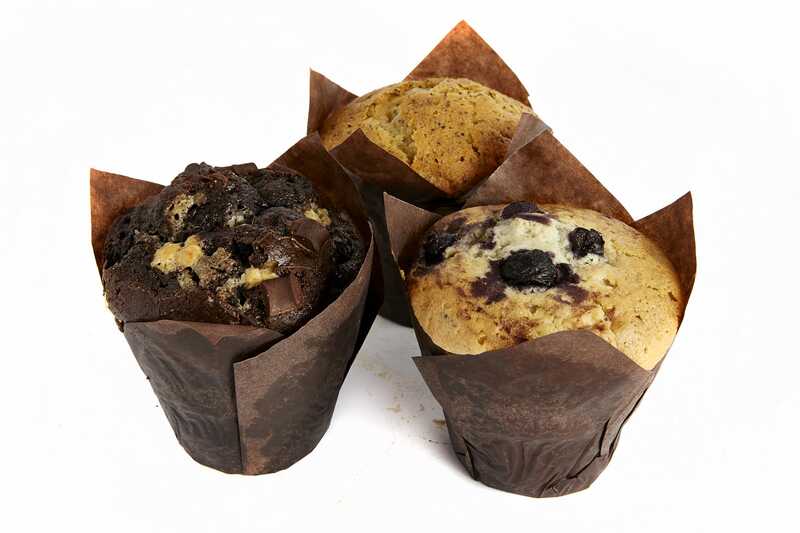 Our large muffins are great for snacking on. We have a number of mouth watering flavours including: Toffee and banana, apple and cinnamon, blueberry, lemon and poppy seed, double chocolate and raspberry. Our healthier options are blueberry and bran and sultana and bran.